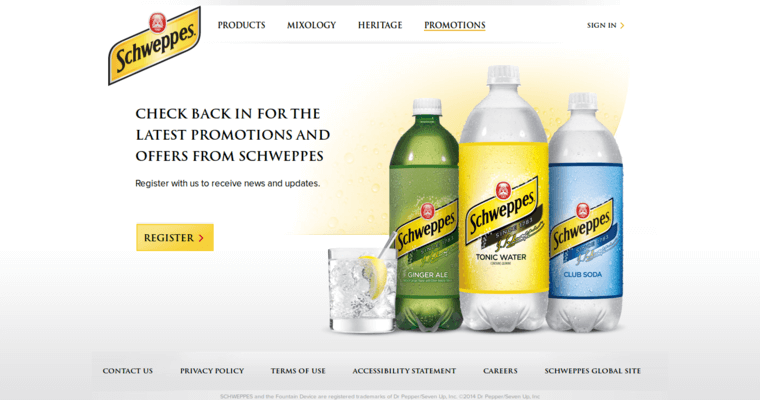 Schweppes is a brand of sparkling water that provides a carbonated, refreshing taste. The company has been in business since 1783 by Jacob Schweppe. 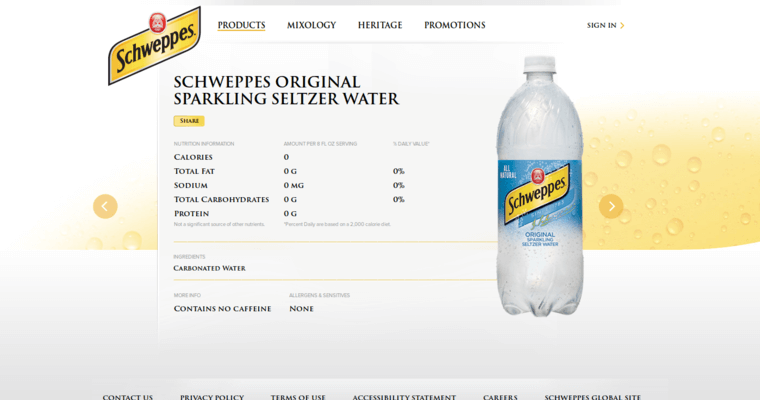 Schweppe had an idea to take newly created carbonated drinks and combine them with mineral water to create a refreshing drink. The company was actually one of the first to be able to bottle carbonated drinks, making it available to the masses. 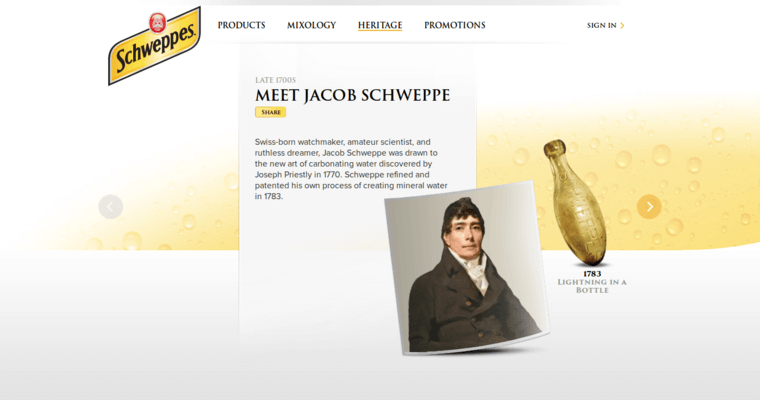 In 1851, Schweppes became the official drink of the Great Exhibition in London, making it a global brand. Today, the brand prides itself on its commitment to quality and excellence in all of its products which along with original flavored varieties of sparkling water also includes ginger ale, club soda and tonic water.